Below you can view all the homes for sale in the Paces Ferry Park subdivision located in Smyrna Georgia. Listings in Paces Ferry Park are updated daily from data we receive from the Atlanta multiple listing service. To learn more about any of these homes or to receive custom notifications when a new property is listed for sale in Paces Ferry Park, give us a call at 404-998-4102. Owner Financing Available With 10% Down. MLS#6533097. King Of Spades Realty, Llc..
Great 3rd Floor Bonus Room For Office/Media Room Or Media Room. Close To Vinings Village. MLS#6530231. Compass. 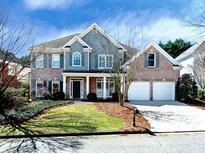 Active Swim/Tennis Neighborhood - Easy Walk To Amenities From This Home! Convenient To 285/75! MLS#6524205. Keller Williams Realty Cityside. 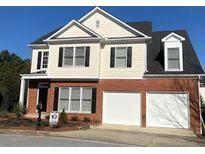 Near Braves Stadium & Vinings Village With Easy Access To I-285/I-75. MLS#6509672. Keller Williams Realty Cityside.